October 1913 begins the history of First English Lutheran Church, a congregation that has continued as a Bible-based welcoming church family for 100 years. The weekend of October 12-13, 2013 will be filled with worship, festivities, memories, present and former members and pastors, and wonderful fellowship. A plaque received from the Texas Historical Commission will be unveiled on Saturday, October 12th, and the cornerstone of the church building, placed at its construction, will be opened and its contents revealed. A catered dinner (reservations required) and social time with music by Anthony Wilhelm, a lifetime member of First English, will follow these exciting events. On Sunday, October 13, we will worship together with Rev. Jim Pearson, presiding, and those former ministers and interns who can join us. We are pleased to have Bishop John Bradosky of the NALC giving the sermon at our worship services (8:30 and 10:00 a.m.). Morning worship will be followed by a catered luncheon in Hiller Activity Center. (We will be taking reservations to insure adequate seating is available for this special lunch.) During the morning fellowship period a slide presentation and books of historical information will be on display to share the path First English has traveled to reach this wonderful milestone of 100 years. 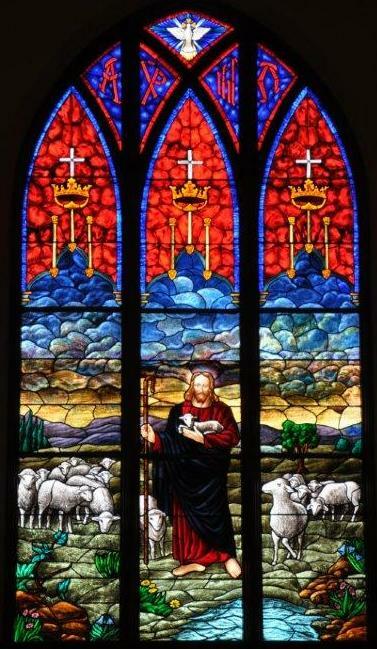 First English Lutheran Church has come a very long way from meeting in a funeral parlor to the beautiful church and properties we share today. 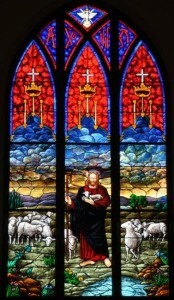 To be greeted by ‘the’ Shepherd in our stained glass window provides joy and comfort to those both inside and out as they look to the Cross. We are proud to be a part of both NALC and LCMC, Lutheran Christian church bodies that are scripturally based and believe that God’s Word guides us, shelters us, provides for us, and makes us who we are as Christians. We hope those without a church home will be encouraged to visit us and become a part of our church family. We hope that you will include the Centennial Celebration of First English Lutheran Church as part of your October planning. If you have any questions or would like additional information, please call the church office at 361-575-3623 or visit www.felcvictoria.org.